"Activating Youth for the Fight Against Climate Change "
Karim Nassef comes from an Egyptian / American family who live in Bonn due to it being the headquarters of UNFCCC. 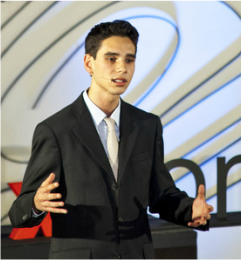 Karim and his brother attend Bonn International School, where Karim has proved excellence not only academically, but also as a student leader. He is President of the Student Council, he leads the school’s delegation to the Model United Nations, he acts in school theatre productions and participates in sports. Karim graduates from the school at the end of this academic year. "Invent your tomorrow. Five chances to make it happen." Caroline Seifert is working in the telecommunication and internet industry for almost 30 years with a focus on change, disruption and future growth. As Senior Vice President Design at Deutsche Telekom she started in 2008 to build up Design and Customer Experience – focusing on context, simplicity and relevance. Today she leads a team of 26 different nationalities answering the question how to live in a digital world by developing concrete new products and services from connection to TV. Her main focus is to integrate a sustainable world in all areas – starting from materials to requirements for partnering as well as to use technology for making things better and creating sense. In 2004 Caroline founded the T-Gallery which is the interdisciplinary future forum of Deutsche Telekom. With that she established an international network of 380 experts, partners, universities and customers – brought together to continuously shape the digital life of tomorrow. She has built up several other projects like the introduction of mobile communications, “Aufbau Ost” in eastern Germany after the reunion, the first start-up of telematics, the first location based services, mobile navigation and the first emergency call system in a car. She is responsible for more than 150 successful international products and solutions for hundreds of millions of people, several patents and worldwide recognized Design Awards. Moreover she is an executive member of several international expert committees. "Migrants helping themselves - The role of remittances in a broader development context"
Leon Isaacs, Chief Executive Officer - Developing Markets Associates Limited (DMA) has over 20 years hands-on experience in the remittance industry and has been involved with two successful start-up money transfer businesses during that time. Before establishing DMA, Leon was part of the senior management team running Coinstar Money Transfer Limited (formerly Travelex Money Transfer Limited). Aside from his functional responsibilities Leon was responsible for the business in UK, Sub-Saharan Africa, Ireland, Belgium and Netherlands. Prior to this, Leon was Commercial & Marketing Director at MoneyGram International and worked for the Thomas Cook Group. He began his career with NatWest Bank. 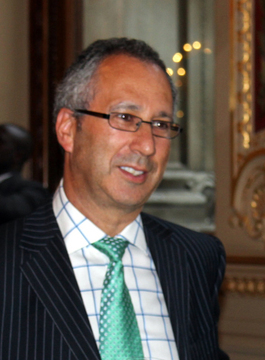 He was a steering group member of the UK Government's Remittances Task Force, form its inception in 2005 until the completion of its work early in 2010. He is an observer to the G20 Consultative Committee of the Private-Public Sector Partnership on Remittances. Leon has spoken at, and chaired, numerous international conferences on remittances including at the World Bank, the United Nations and the G8. Leon was also Managing Director of the International Association of Money Transfer Networks, an international trade association, 2009 and 2013. "The DNA of our legal system"
Anna Grear's work calls on insights from a range of disciplines despite being firmly located within a combination of critical legal theory and jurisprudence. 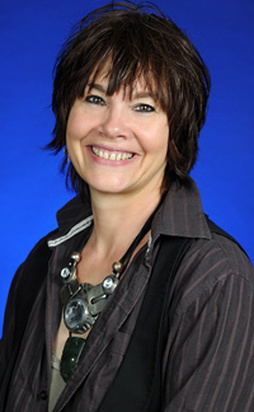 She has a particular interest in the relationship between human rights and the environment, and in the theme of legal subjectivity, locating these in relation to contemporary globalisation and to a central concern with the implications of the materiality of the living order – including the theme of lived embodiment. Anna is the founder and co-editor in chief of the Journal of Human Rights and the Environment, a journal praised for its timeliness, vision and intellectual quality. 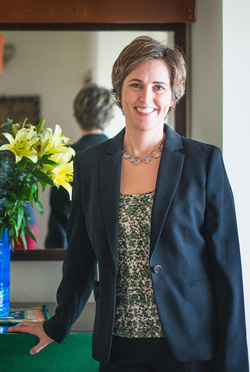 She is also founder and director of the Global Network for the Study of Human Rights and the Environment (GNHRE) – now the largest existing international network of leading scholars in the field, activists, policy makers, lawyers and NGOs dedicated to the transformation of thinking concerning the relationship between human rights and the environment. (www.gnhre.org). Anna's monograph Redirecting Human Rights: Facing the Challenge of Corporate Legal Humanity (Basingstoke: Palgrave Macmillan, 2010) has been welcomed as an important contribution to the development of a ‘radical revisionist critical human rights philosophy' and is credited with ‘founding a new ground of contestation' ‘marking a fresh start towards the understanding of the ontology of human rights’. Anna has published articles in leading academic journals (including in Legal Studies, Res Publica, Law and Critique, The Human Rights Law Review) and has been invited contributor to some exciting publication projects, such as The New Oxford Companion to Law (OUP, 2008) and The Cambridge Companion to Human Rights (CUP, 2012). Anna was also part of the UK Feminist Judgments Project (a project involving approximately 50 academics, with judges and practitioners, including Lady Hale of the UK Supreme Court), and has a judgment published in R Hunter, C McGlynn and E Rackley, Feminist Judgments: From Theory to Practice (Oxford: Hart, 2011). Anna has extensive editorial responsibilities. 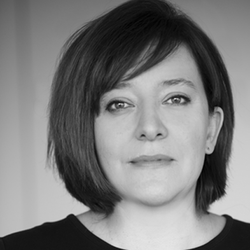 She is series editor of Law, Justice and Ecology (a book series published by Glasshouse/Routledge) and series co-editor for Edward Elgar Publishing’s Critical Reflections on Human Rights and the Environment book series. Anna is a Global Affiliate to the Vulnerability and Human Condition Collaboration, Emory University USA; Visiting Scholar at Bristol Law School, UWE, UK and Invited Professor at the Westminster International Law and Theory Centre, University of Westminster, UK. She has also held a variety of visiting scholarships/fellowships and has been invited to speak at a wide range of universities, conferences and events, internationally and within the UK. Anna's teaching practice and pedagogic philosophy reflects her long-standing interest in legal reasoning and in the teaching of reasoning skills to students. Anna came to academic life after working in a range of other roles, including theatre performance; political activism; community organisation and management. Owen Lean graduated in 2006 with the worlds first degree in street magic. Making the front page of the Irish Times, and several other national newspapers. A year later his house burned down and he lost everything he owned, ever since then he has traveled the planet, performing his unique comedy magic show on the worlds street, taking away peoples fears and "Entertaining those without even the remotest interest in magic" - The Irish Times. Owen Lean has been performing his entire life and began to amaze people from the tender age of 18. Owen discovered magic completely by accident when he found a trick deck lying around his parents house and investigating it became quickly hooked on the incredibly things he found he was able to do. 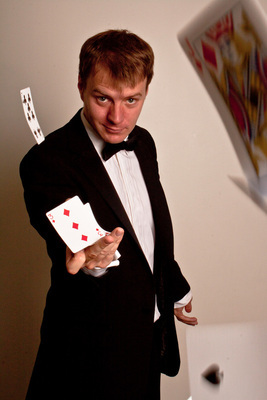 Owen has now become one of the worlds leading and most respected Entertainers and Magicians, having performed over five continents and attracted praise from the media, clients and the public alike. Dr Jessica Seddon is a Senior Fellow at the IIT Madras Centre for Technology and Policy and the Founder of Okapi, an India-based research and consulting group focused on institutional design for complex goals in changing times. Her research and consulting focus design and evaluation of informational interventions, including investments in generating and/or managing information, formation of metrics, and policy and regulation toward information technology. Her work cuts across sectors - from infrastructure to air pollution to healthcare - to enable innovative approaches to achieving collective purpose. Dr. Seddon has published book chapters and articles on infrastructure, Indian political economy, IT and governance, environmental regulation and other institutional design topics in international academic and policy venues including Cambridge University Press, Journal of Development Economics, Stanford Social Innovation Review, Foreign Affairs and Harvard Business Review. Her work has been supported by grants from Google.org, Australian Development Research Awards, ICICI Foundation for Inclusive Growth, Stanford University, and University of California, San Diego, among others. About the TEDxBonn talk: We measure things all the time. Little things - microscopic dust particles. Big things - urban settlement density. Personal things - poverty and vulnerability. Change - the extent of arctic sea ice. Stasis - the structural integrity of skyscrapers and aircraft wings. We build elaborate social scaffolding for collective response to these measurements: property rights and markets in which to trade them; performance scorecards and rewards and punishments to respond to them; collective mental models of the world and the political avenues to provide feedback. Yet all of these facts are the products of metrics, socially negotiated standards for measurement. These maps of reality may include and exclude information and details with the best and most scientific of intentions, but they are never as universal or true as we tend to think. When the maps are misleading, our responses are inevitably misguided. The whole structure of knowledge-and-response is somewhat self correcting as people contest the metrics used to describe them, businesses seek better maps to maintain their competitive edge, and technology change offers new options for measurement and metrics with each passing day. Still, the updates to the map, to the quality of the foundation for the scaffolding, lag behind the speed which which we build the social infrastructure. This imbalance undermines many of the most pressing global projects we face. But we can correct it. 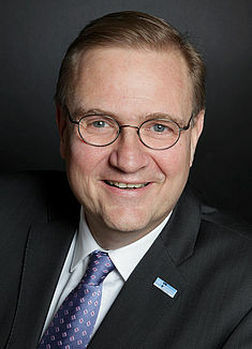 Richard Dictus (Netherlands) took up his appointment as the Executive Coordinator of the United Nations Volunteers (UNV) programme on 2 January 2013. Richard joined UNV after having served as United Nations (UN) Resident Coordinator / United Nations Development Programme (UNDP) Resident Representative in Malawi (January 2009 – December 2012). During his four years in Malawi, Richard worked towards his vision of a unified and coordinated UN system in Malawi, which supports the country to achieve its development efforts with increased efficiency and innovation. Richard joined the United Nations Industrial Development Organization (UNIDO) as a Junior Professional Officer in South Yemen in 1987. He subsequently served in different UNDP capacities in: Sudan (Assistant Resident Representative (Programme), 1990-1992), Lesotho (Assistant Resident representative (Programme), 1992-1994) and Bangladesh (Assistant Resident Representative (Programme), 1994-1998) in environmental management, rural development, micro finance, human rights and disaster management practice areas. As UNDP Deputy Resident Representative for Pakistan (1998-2000), he played a significant role in coordinating humanitarian assistance during floods and cyclones and the safety and security of UN staff. From 2000 to 2001, Richard was a Management Advisor (Deputy Chief), Administrative Services Division, with UNDP’s Bureau of Management (BoM) at UNDP Headquarters in New York. There, he went on to be Deputy Director of Human Resources, BoM, from 2001 to 2005 where he contributed to the change management and transformation processes across the organization. Returning to the field, Richard was UN Resident Coordinator / UNDP Resident Representative in Fiji from 2005 to 2009, where he honed a strong track record for effecting change management. He developed several innovative approaches to UN System coherence across 16 Pacific Island countries and with 15 UN agencies. He graduated from the Technical University of Twente in the Netherlands with a Master's degree in Public Administration and Development Studies. He is married with three children. Alex Andreou left a promising career - much to the chagrin of his mother - in law and market investigation, working for the competition authority to train as an actor at London's Poor School at the tender age of 38. 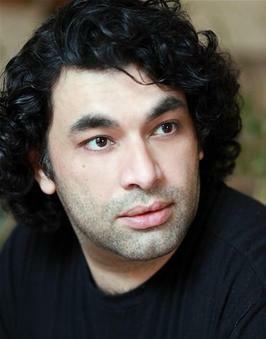 Since then he has played, mostly, very unpleasant people on stage, including at the National Theatre, Bath Royal, Liverpool Playhouse, Southbank Centre, Royal Stratford East, Manchester Royal Exchange, Jermyn Street, Southwark Playhouse and The Ljubljana Arts Festival and many others, including regular work with the acclaimed Sturdy Beggars Theatre Company. Film credits include Legend of The Golden Fishcake and The Wolfman. Alex made his directing debut with Mamet's Boston Marriage at the Pacific Playhouse. He has taught Shakespeare and directed at The Poor School. With his "writing hat" on, he is a regular contributor to the New Statesman, writes for BBC Radio 4 and weekly for The Guardian newspaper. His first novel is due to be published in 2015. Alex experienced poverty and homelessness in his transition from a "sensible" profession to a career as an artist. He has been a keen poverty campaigner and political commentator since.